Have I mentioned before how much I LOVE our beautiful fine art albums? They are absolutely my favorite product to create from our sessions. 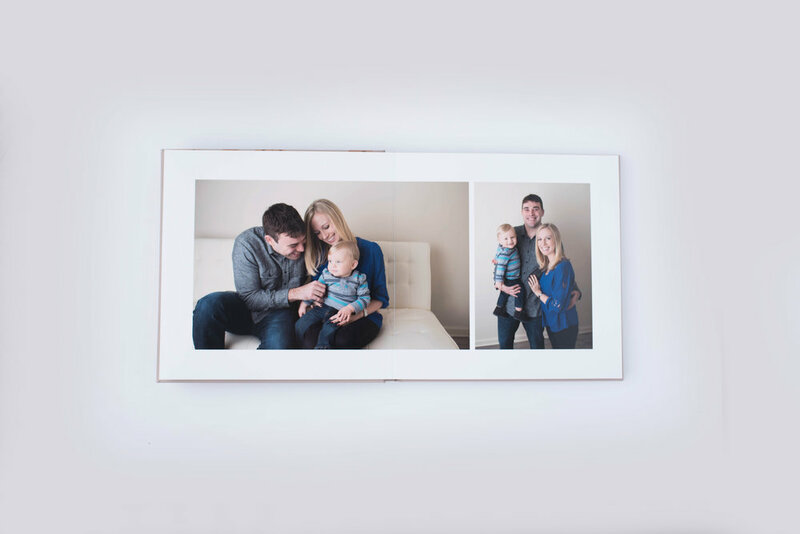 We fill the pages of your album with so many gorgeous memories, all woven together to tell your family's beautiful story in a keepsake that you'll pass down to your children one day. 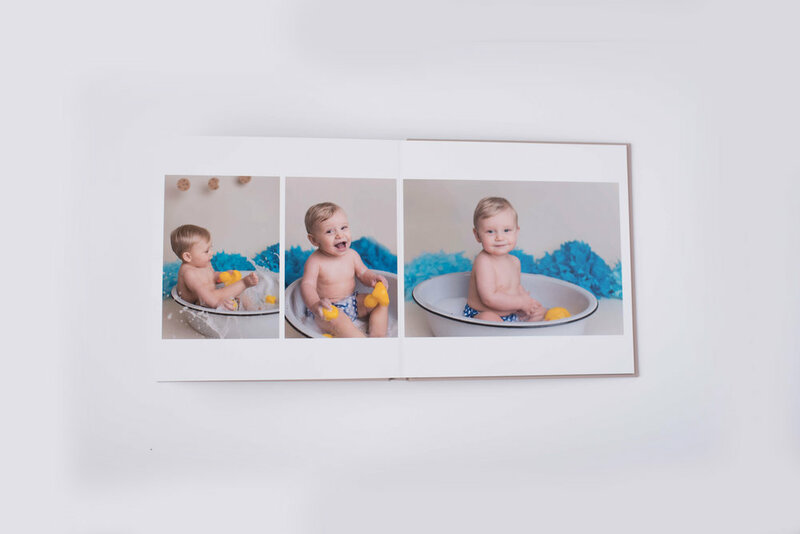 This fun cake smash album went home with Miles' family this weekend, and I just know that they're going to love reliving their son's first birthday through the pages of their album. Take a peek at their album below! Their family photos are fun & playful, and their baby boy went to town on his chocolate chip cookies. I have never seen a baby so excited about his cookies before, and I love that we went non-traditional by bringing in some cookies for his first birthday session! 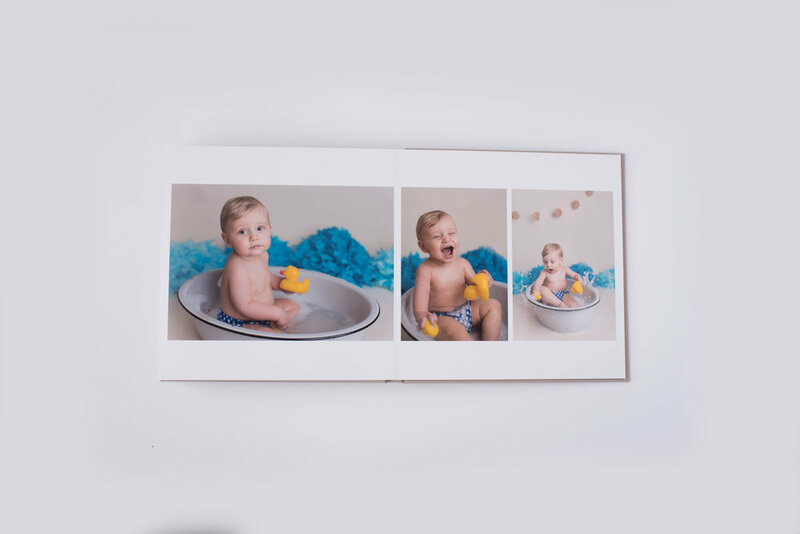 While he wasn't the biggest fan of his Cookie Monster cake smash, we ended the session with lots of smiles in our vintage bathtub filled with soap bubbles that were perfect for splashing! Did you love this session post? 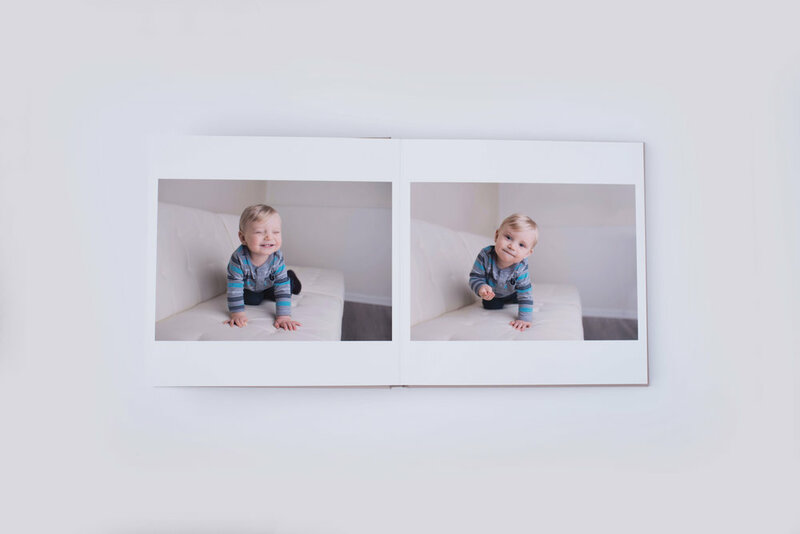 Check out another of our custom albums from a recent lifestyle newborn session! You will ADORE the blues in this beach-inspired nursery!